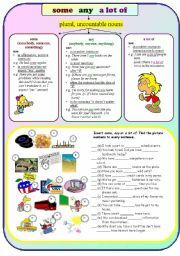 This WS is based on Present Perfect and time adverbials grammar material. 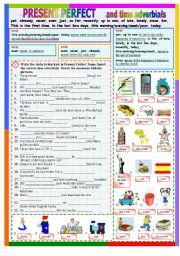 Write the sentences in Present Perfect Tense. 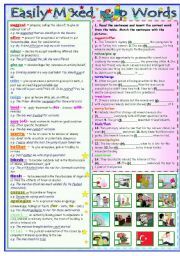 Find correct time adverbial to every sentence using pictures as prompts. Hope you´ll like this WS. Keys included. 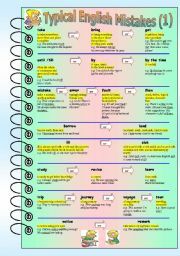 Here´s the list of some verbs that take to+ infinitive and -ing form. These verbs differ in their meaning depending on what follows them : to+ infinitive or -ing form. Read the definitions and examples. 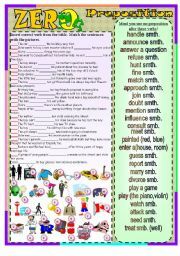 Complete the sentences with to + inf. or - ing. This WS helps not to mix some words in English that are synonyms but differ in their meaning. You can find some examples and some practice.KEYS INCLUDED. Some verbs do not need prepositions. 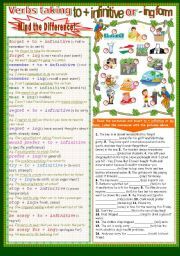 Learn those verbs by using this WS. ;) UPDATED BECAUSE OF RESEMBLING OTHER WS! This Sports Pictionary will help you not to make mistakes talking about sports using the verbs "do, go, play".Part 3. 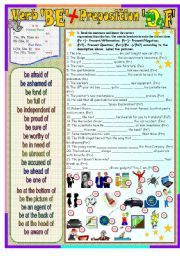 Learn more expressions with the verb "to be" + preposition OF. ;) KEYS INCLUDED. 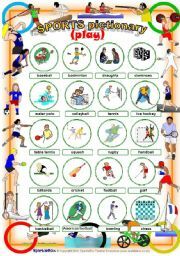 This Sports Pictionary will help you not to make mistakes talking about sports using the verbs "do, go, play".Part 1. Don´t be confused by choosing the right English word! This WS is great for those who find it difficult to choose the correct synonym.You can find the explanation between similar words and some examples. insert some, any or a lot of. 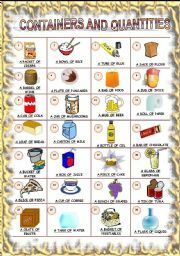 Find the picture numbers to every sentence.